The World Tableware 840-360-009 Porcelana™ nappie bowl is perfect for serving cereal, oatmeal, fruit, side salads, and other menu favorites. To provide durability for heavy use, the dish has an elegant porcelain construction and a rolled-edge rim that prevents chipping. 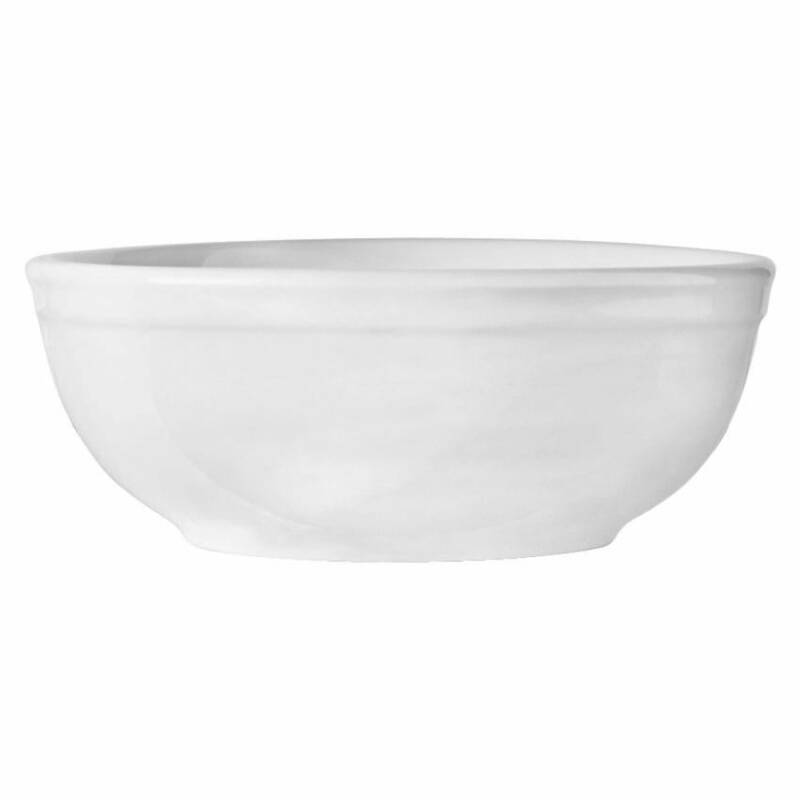 Since the World Tableware 840-360-009 Porcelana nappie bowl comes in bright white, it fits in with many other dinnerware patterns and themes.